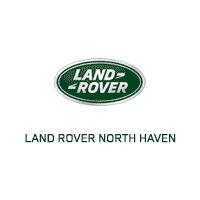 Looking for used Land Rover deals near Branford? Look no further than the pre-owned vehicle specials here at Land Rover North Haven. Choose from popular used Land Rover models like a pre-owned Land Rover Discovery Sport or a used Land Rover Range Rover. If you’re looking for a used SUV but still want the comforts of being under warranty, one of our Certified Pre-Owned Land Rover models would be an excellent option. Browse our inventory of used Land Rover specials to discover the perfect offer for you! Here at Land Rover North Haven, we understand that Madison drivers want a quality used vehicle at a price that suits their budget. With our competitive used Land Rover specials and Certified Pre-Owned offers, you’ll be able to get behind the wheel of a Land Rover SUV at an incredible price. Once you’ve browsed our offers and used vehicles in stock, it’s time to get behind the wheel for a test drive. Contact us to schedule your visit to our showroom in North Haven near New Haven!